Brownish frog with dark dorsal spots, with bright yellow on the underside of hind legs. Streams, wet meadows and open wetland areas. Throughout most of the eastern half of the U.S. into Canada. Insects, spiders and other small invertebrates. Breed in late March to early May. Females lay masses of 700 – 3000 eggs attached to a submerged branch. From 87 to 95 days after hatching, the tadpoles transform into the adult form. Listed as stable; however they are declining in many areas due to habitat changes. The pickerel frog, a common frog found in streams and wetlands throughout Connecticut, has a low pitched grating croak that sounds like a rusty door being opened slowly or a short snore. It secretes a toxin from its skin that can make humans sick and be fatal to smaller animals. This toxin protects it from many of its predators. 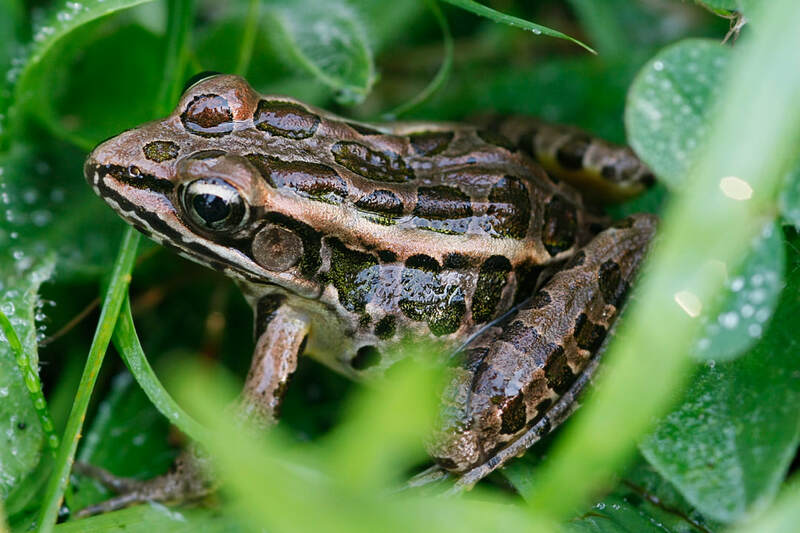 The pickerel frog is sometimes confused with the rare northern leopard frog, a species of special concern in Connecticut. The leopard frog, however, lacks the bright yellow coloration on the ventral side of the hind legs. Both frogs will hibernate under the frost line through the winter. 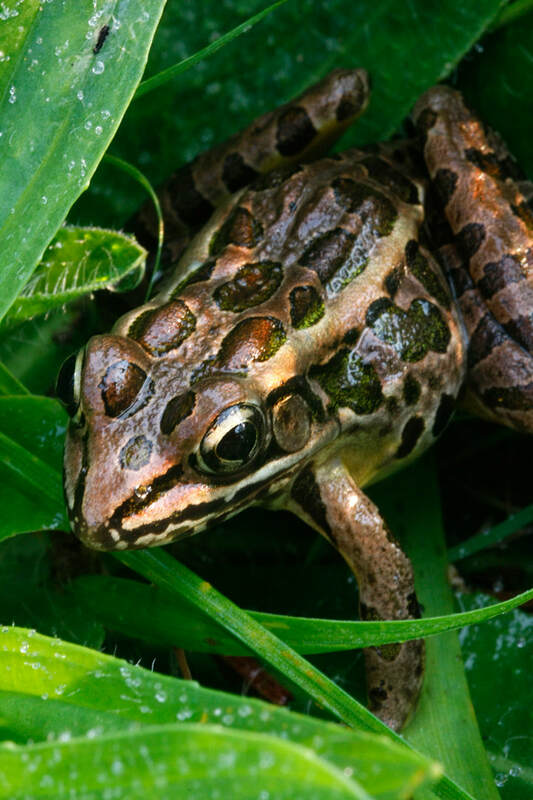 To see a pickerel frog, visit the Zoo’s Native Reptile House located in the New England Farmyard.